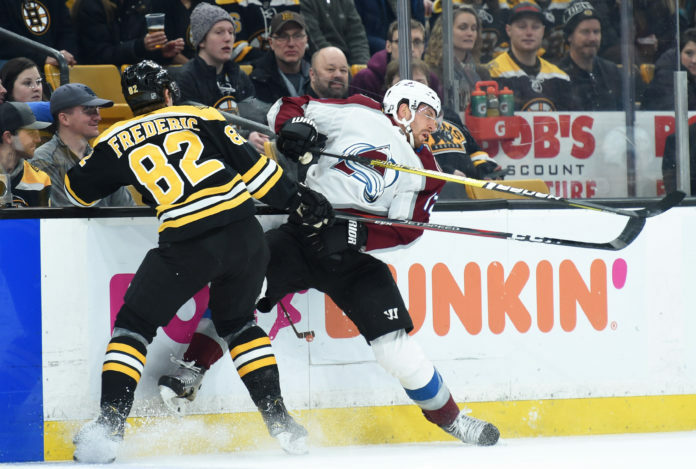 For the third consecutive game, the Colorado Avalanche played a relatively strong first 60 minutes, only to watch it all crumble in overtime, this time losing to the Boston Bruins by a score of 2-1. It was their 11th loss after regulation this season. 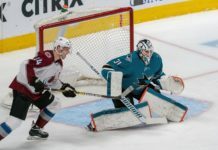 Tyson Barrie, who has been exposed in overtime defensively a lot this year, including last game, was benched this time around in OT. The Avs instead went with Erik Johnson, Nikita Zadorov and Samuel Girard. Colin Wilson left the game in the middle of the second period and did not return. For a team already struggling with depth up front, he’s a tough guy to lose. He’s also one of the few forwards who has some size. The last time he was out, the team missed him quite a bit, so we’ll see if he misses any time. This was not a high event hockey game. Both teams really buckled down defensively and didn’t allow a whole lot of offensive chances. 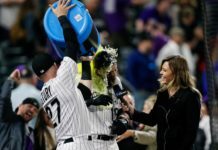 With both teams having played yesterday afternoon, it was not surprising to see the pace of the game slow down as it went on. Even overtime was relatively tame and not a lot was given up. Semyon Varlamov got the surprise back to back start after playing in New York and played very well. The overtime winner went off his own player’s skate, and he didn’t have much of a chance on the only regulation goal. He played pretty well in New York yesterday and the Avs really need one of their goalies to be, at the very least, consistent. With Ian Cole out due to injury, the coaching staff has leaned heavily on Patrik Nemeth again in the last two games. He’s played solid hockey, and while he’s not someone the coaching staff wants handling the puck much, he’s a safe option for them. And this staff has shown they like to play at least one safe defenseman a lot. 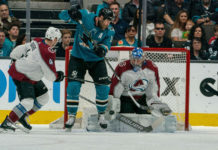 The Avs now head home for a quick game as they take on the Toronto Maple Leafs on Tuesday. The game starts at 7 p.m. MST.